Do You Really Think In Two Years She's Going to Still Be Muslim? Yah Right! On May 27, 2011 I took my shahada. I remember overhearing someone who was skeptical about my faith say something on that day that really broke my heart. This person said, "I guarantee you in two years she will completely forget about Islam and go back to her old life. You know how these converts are." Well, today is May 27, 2013, and look at me. I am far from a perfect Muslim. I make so many mistakes. But, I will never forget Islam. There is no god but God and Muhammad is the messenger of God. And this was the best day of my life. Today is better to me than my birthday, because on my birthday I didn't do anything except be born. On this anniversary, this marks another year of dedication to my religion and my God. Sincerely, in the past two years I have tried to be a better person and a better Muslim every day - although on many days I'm a failure that is lucky only by the grace of God. This day really was an immense blessing. The best one that Allah (swt) has ever bestowed on me. Today, two years after I took my shahada, I pray that everyone in the world is able to taste these words on their lips before they die. I can only wish you experience one millionth of the appreciation I have for my religion. It really is such an honor to be Muslim. It's the 2 year Muslim mark, what have you done in the past two years? I can only speak for what Allah (swt) has decreed that I do for His sake, and I am not trying to brag, but I've helped three people to come to Islam. I've helped change the hearts of hundreds of people to see how beautiful our religion is. I started this blog on Islam. I have spent hours studying. I have fasted two Ramadans. I have recently started to do dawah on a weekly basis. I have taught classes at the masjid. I have answered countless ridiculous questions about my religion with patience and tact. I have chosen to wear hijab. I've memorized several surahs. And, I have forgiven you for this hurtful comment. Every day that passes I only love Allah (swt) more than all the previous days combined. From the bottom of my heart, however, thank you so much. Your comment has continued to push me to want to strive in the way of Allah more and more. You have helped me to question the things I do and want to do better to prove you wrong. And, you have taught me a wonderful example of how not to treat new Muslims. I only pray that you will see how far I've come in 20 years. I don't know where I'll live, if I will have a family, who I will spend my life with, but I put my trust in Allah (swt) that He will choose what is best for me as he has in the past two years. Please make du'aa for this person that they are able to benefit Islam. Make du'aa for me as well inshaAllah. May Allah (swt) reward all of the people who helped me convert with Jannah and may He bless me to continue to assist others in converting as well. May the day I took my shahada be one that pleases God and may it be the best memory in my heart for the rest of my life. For Allah (swt) found me an orphan and He gave me refuge. He found me ignorant and He guided me. He found me poor and He gave me the gift of riches in Islam...Alhamdulilah. Where Do You Get Muslimy Stuff?! First, I LOVE the word "Muslimy." Second, People ask me a lot where I shop. I shop online. Not because I can't find clothes in other stores, but because I am CHEAPPPP. So cheap. It's like a game for me. Have you ever seen those coupon people on TLC? They're living my dream life. But I thought I should give people good ideas about where to shop. I'm in no way making a profit off of these people, I just like their stuff. Let me know if you have any questions... I'll add to this list as I think of other places I use. I've bought three abayas from here: this being one of them. They're GORGEOUS! And very very cheap. Okay I've never actually bought something from here, but looking at the stuff on here is like my crack. Anyone want to throw down $350 on this "abaya" for me? Tina Shahmohammadi :) She has amazing art (most of which is featured on my blog here) and she sells it too. Literally gorgeous. My friend Kristina thought of this idea to have a wudu cling for kids. I love it! Although I don't need to use it anymore now that everything is memorized in my nogin, but still totally an amazing idea for new converts and/or children. Go buy it. No, they don't let you shop online :( but they have awesome scarves at the stores. Cheap. Check out the store locator to find a store near you! Haven't tried it yet, but I hear it's amazing. And halal. My phone is Muslimy blinged out. Plus I buy everything from eBay pretty much. You can find awesome stuff! Where Are You From? I'm From Here. No, I Mean ORIGINALLY? Cleveland. I moved here because of diversity. I came to visit a friend, walked the streets of Hollywood and people said "salaam" to me when they saw my hijab. White people! So, when I experienced people speaking 20 different languages when I walked a one mile stretch of sidewalk, I realized how beautiful that was and that I wanted to be a part of it. Permanently. A month later I moved here. I'm a sucker for diversity, what can I say? And, guess what... people are cool to me here ALL THE TIME! I go out to lunch with my Asian boss and white people on the sidewalk go out of their way to say "salaam" - the greeting that Muslims give each other meaning peace. How cute is that? PLUS, they do it in the sweetest voice and they touched their little hearts when they said it. Merrrrr ... adorable!! This is a beautiful example I wish everyone had the opportunity to experience, because I wasn't experiencing that in Toledo, Ohio. 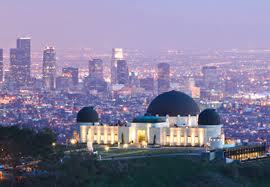 The one thing I have noticed about Los Angeles, however, is everyone is curious about me. I'm not saying that because I think I'm God's gift to earth and I'm like Los Angeles' own unicorn or something... I mean because I look different. I hold open houses every weekend to advertise the houses we have for sale and 1 out of every 3 people ask me where I'm from. No matter what their ethnicity is. And, they don't do it in a mean way. They do it out of love. Usually though I think it's so annoying! Standard Couple #1: WHERE ARE YOU FROMMMMM? Standard Couple #2:NOOOO I MEAN WHERE ARE YOUR PARENTS FROM? What does it matter? Are you writing a book? If I say my dad is from Iraq will that make you feel any different? AH I SEE. DID YOU CONVERT? OHHHH WHAT DOES YOUR FAMILY THINK? HOW MANY TIMES A DAY DO YOU PRAY? DO YOU SPEAK ARABIC? WHAT IS YOUR DAD'S COUSIN PHIL'S MIDDLE NAME? None of your business! UGH! This is a Spanish style house, that's all you need to know. Today I was reflecting on this, preparing for a meeting where I was sure I would be asked my nationality, and I realized it's not as annoying as I feel like it is. Instead of being negative I should be appreciative that people are nice enough to ask and strike up a conversation as if they actually care about a stranger. It might not be consistent with modern social cues, but it's very nice that they ask and are curious. I'd much rather people be curious than afraid. This post is a reminder for me to work on myself - to be more open to answering people's questions - regardless of where I am, how rushed I am, or what I'm doing. These people are giving me the opportunity to educate them without hatred. How awesome. May Allah (swt) teach us all to be guided guiders and teach others about our religion for all of its beauty. May we be as curious of others as they are of us, and in a positive way. Ameen. Will You Ever "Go Back" to Your Old Life? : Life On The "Dark Side"
"Go back" where? To the dark side? Everyone I know well asks me this question. Yes, I wasn't born Muslim, and yes I did not always memorize Quran, and I didn't always wear hijab and I didn't always pray five times a day.... but... this may shock you... I wasn't the devil. In my past life I never treated anyone wrong, I had respect, compassion, love for all other people. I wasn't wild. I was actually the one that always got made fun of for being "stuck up" because I thought I was too good for beer pong championships (white girl reference). I wasn't a party-girl, I didn't do drugs, I didn't sleep with dudes because they winked and blew an air-kiss my way. Did I know people like that? Yes. Was I friends with these people? Yes. Was I one of them? NO. I think there is often a misconception about nonMuslims in the eyes of Muslims - especially those without nonMuslim friends. Not all nonMuslims are alcoholic, coke head, gambling addict strippers. Yes, going out is "the thing to do" in college, but not everyone chooses to follow the crowd. Also, Muslim readers, think about all the Muslims you know - some of them are probably your friends - that do things that are against the religion... maybe they party, maybe they gamble, maybe they drink... does it make them not Muslim? No. It just makes them sinners. Listen, I definitely wasn't an angel then, but I'm also not an angel now. I try my best to follow what I think that Allah (swt) wants me to, but no one is perfect. Before Islam, I wasn't a bad person though! If you're asking whether or not I have plans to leave Islam, the answer is: NOT IN A MILLION BILLION YEARS. I will be Muslim as long as Allah (swt) chooses. If it's up to me, that means forever. If I had any plans to leave this religion I would not be Muslim right now. I have no doubts about Islam. Yes, I know there are girls who meet a guy at the local 7/11 and take their shahada because "Firas was just so hot and he taught me about Islam while he sold me a case of Bud Light Lime" and then the next day they're not Muslim anymore. This exists of course, and although I find it heartbreaking, it's the reality. I didn't make the decision to become Muslim on a whim. I studied it, I prayed about it, I have experienced hardships from it, and I when I die, inshaAllah, I will only ask Allah to come back to earth to worship Him all over again - as a Muslim. If you can't tell by the way I act, I am Muslim in every ounce of my soul. What is the most frustrating part about this question though is that I feel I was always Muslim. Despite the fact that I had never read Quran and I didn't know the pillars of the faith, I still had the same beliefs. I had the iman (faith) of a Muslim person, but I just didn't have the ibada (worship). I always believed in one God, never accepted Christianity as the truth - or Judaism - or Hinduism - or Taoism - or any other religion, though I studied many of them on my quest to find Islam. When people asked me "what religion are you?" I would list out all of the pillars of Islam - which were consistent with my beliefs - and say that's what I believe in, but it took me 20 years before I listed these things and someone responded with "oh, you're Muslim then!" I always explain it by saying: "if you never ate meat, and thought it was wrong to eat meat, but didn't know that there are thousands of other people called 'vegetarians' out there... weren't you always a vegetarian?" That's exactly how I feel about Islam. My heart was always Muslim. Now that I have the instruction manual on how to please my God, all the changes I've made are easy! Becoming Muslim was the easiest decision I've ever made - following what Islam requires of me is simple! I have no plans to ever accept another religion, inshaAllah ya Rab. I have never been so sure of something in my whole life. I will never drink alcohol, I will never eat bacon, I will never dance naked in a club - not even for a billion dollars. May Allah (swt) make all of my fondest memories those that were of my path to Him, and protect me - and all my fellow Muslims - from all the haram in this dunya in order to reward us in akirah.